The festive season has arrived again and we wish all our members a very Merry Christmas. First aid tips from Land Based First Aid. What can woodland owners do about soil erosion and depletion? We look at the launch of the Sustainable Soil Alliance, which provides some ideas. Rich is building a timber-framed barn using traditional techniques as far as possible, and all from wood he has felled and milled himself. Read his account of how it’s all going. Finally, there are bargains to be had if you are thinking about a woodland course. Plumpton College is offering 25% off a selection of their short courses and the Woodland Skills Centre offers 10-15% of their autumn offerings. 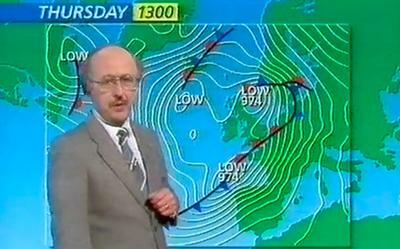 We couldn’t let the October newsletter blow by without reminiscing about the great storm of 1987. Arborist Christopher Sparkes shares his memories of Britain’s windiest night. Was the storm actually a blessing in disguise for trees in southern England? Karen Elliott, a winner of both SWOG’s Big Picture Competition and a Woodland Award for photography, tells us about her prize, a two-day coppicing course at Malvern Coppicing with Phil Hopkinson. The season of mists and mellow fruitfulness appears to have started early this year and SWOG is gearing up for autumn. With news of workshops and courses around the country, the September newsletter includes a useful piece on tree tech: mobile apps for tree ID, wildlife recording and woodland management. More than 1,000 people across England, Scotland and Wales have taken part in the British Woodland Survey, which closes at the end of the month. The Sylva Foundation hopes that many more owners and managers will take part – don’t miss your chance to have a say in the development of forestry policy and practice. Sign up for the SWOG meeting in north Wales on 28 October, or come and say hello at the Bentley Woodfair on 15-17 September, where we will have a stall and hope to see lots of members. SWOG members can obtain discounted entry for just £10 (instead of £14 on the gate) – see the newsletter for the voucher. It may be the dog days of summer, but in our latest newsletter, SWOG members can look forward to a packed autumn schedule of courses and workshops. Read about the SWOG butterfly workshops and download our information sheets here. We’re also looking forward to the Bentley Woodfair in September, and SWOG members qualify for an exclusive discount. 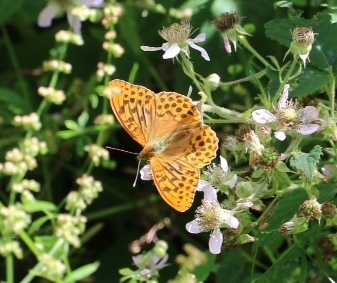 Thanks to Steve Wheatley and Neil Hulme of Butterfly Conservation for these notes about butterfly species and how to encourage them in woodlands. Summer is in full swing and woodland glades are dappled with sunshine – at least we hope so! Learn about tackling invasive species and see how one group of owners have restored their track. Finally, our workshops with Butterfly Conservation coincide with the Big Butterfly Count 2017 – do join in and help support butterfly populations.